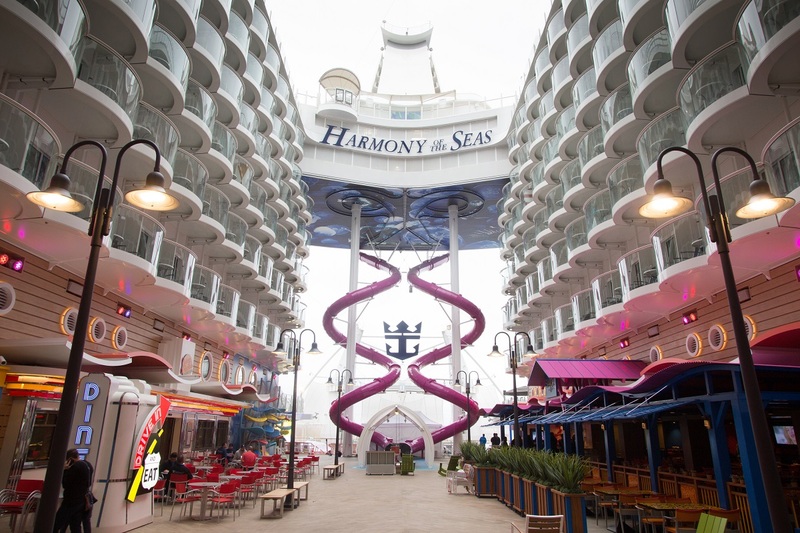 Towering over 150 feet above sea level, the Ultimate Abyss on Harmony of the Seas launches thrill seekers into a serpentine of twists and turns on the world’s biggest ship. Guests climb to the slide’s glass platform, taking in the view from the top of the tallest slide at sea. From there, sliders launch into 216 feet of tunnels, whizzing past multi-sensory effects and blast onto the Boardwalk 10 decks below.